Good afternoon Canada! Vanessa here, coming to you live from Canada Olympic House in Sochi. 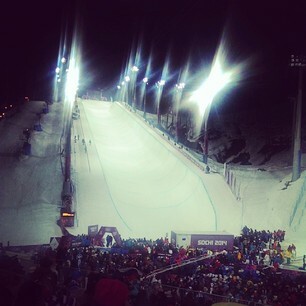 Women's freestyle ski halfpipe finals are up soon! Canadian to watch: Rosalind Groenewoud. 79.0 for her - She's currently in the first spot! Maddie Bowman of USA up now. 3 Americans in this group! Having trouble getting some height. She's managing to get in some awesome tricks though..high degree of difficulty and a very clean run. 85.80 for Bowman - by FAR the best run of the set so far. Another American up next - Brita Sigourney. 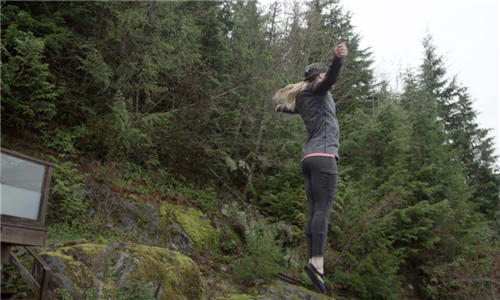 Amazing start for her, but ends with a heavy fall. She's having trouble getting up. Medical crew currently attending to her... hopefully she's okay! She looks okay - will likely be able to go again for her second run. 27.80 for her on this run, moving into 7th spot. Last athlete to go for Run 1 - Marie Martinod of France. Ends with a solid 900.. and a pretty smooth run for her throughout. She scores an 84.8 for that run, moving her into 2nd place. Maddie Bowman of USA still in 1st. Roz currently in the second last spot...She needs to make this second run count! Again, the gold medal goes to the best run between the two runs (an athletes score is NOT cumulative). 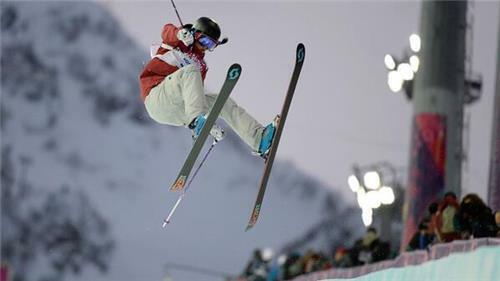 Official Canadian Olympic Team Website | Team Canada | 2014 Winter OlympicsA look at how Canadian Olympic freestyle skiiers Roz Groenewoud, Mikaël Kingsbury and Justine Dufour-Lapointe train with coach Trennon Paynter. And the second run begins! Amy Sheehan of AUS is up first again. Again, not her best run - 40.60. She won't make the podium tonight. Drew of USA is up! And a hard fall for her.. she too is out of medal contention.